Audiovector Ki3 Standard review | What Hi-Fi? There’s a bit of a gap in the market for floorstanding speakers at this price. There are plenty of standmounters, but their larger siblings are thin on the ground. The Audiovector Ki3s look the part. The non-resonant hardwood-composite cabinets house a 3cm dome tweeter and twin 12cm mid/bass drivers, while the grilles attach with magnets. To the rear, you’ll find biwireable binding posts, but no rear-firing port; Audiovector uses internal damping it calls Quarter Wave Resonance (QWR) technology to tune low frequencies. There are no parallel surfaces front to back inside the cabinet – so they can also be placed close to a rear wall. A different sound – but better? Using the Ki3s single-wired, with their grilles off and a touch of toe-in, we were immediately struck by their accurate, fast-paced sound. Miles Davis’s So What is a tough test of detail retrieval and dynamic ability, but the Ki3s lapped it up. The breathy trumpet and sax sounded live and vital, while the piano retained its mellow timbre and the bass pinned it together in a tight groove. Every coin has two sides, of course – and the flip-side of all this detail is a slight desaturation to the Audiovectors’ sound. These speakers didn’t grab us as we had hoped they would. 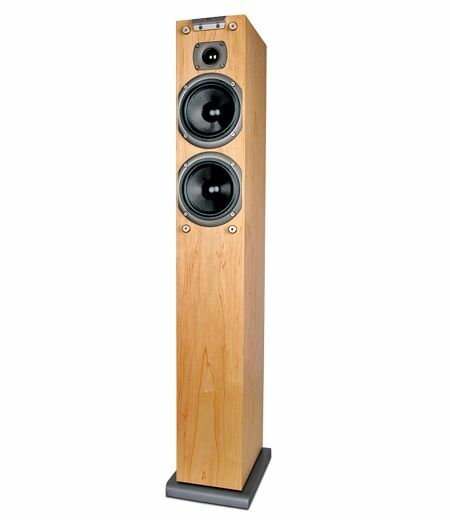 The lean bass presentation is somewhat at odds with their floor-standing DNA; they can move a fair bit of air, but they don’t quite serve up the excitement of the ATC SCM 11s. For many, the Ki3s will be just the ticket. And Audiovector’s upgrade policy means users can send speakers back to have them hot-rodded to a model higher up the range. You’ll get no arguments from us there.